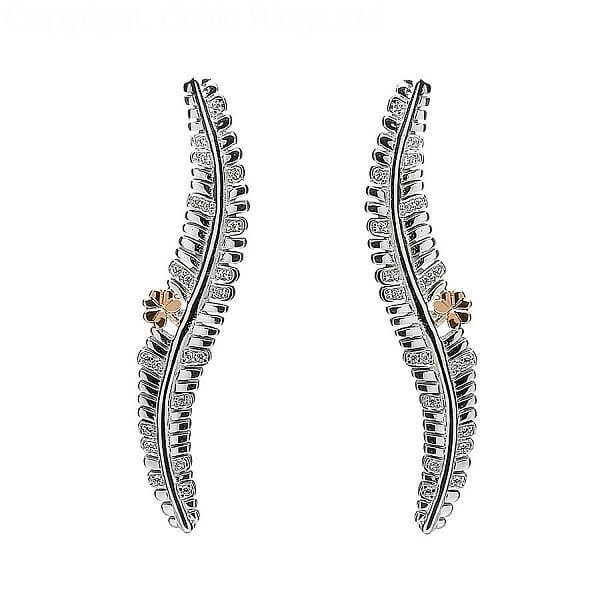 An Irish rose gold shamrock is the centerpiece for each of these Sterling silver fern design earrings. 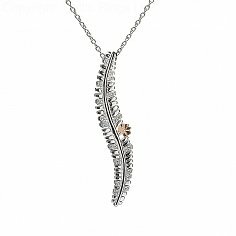 Several of the ferns leaves are lined with sparkling cubic zirconia. 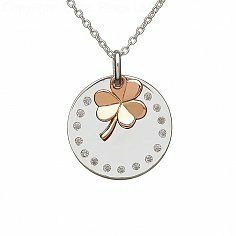 The Shamrock is made from rare Irish gold that has been ethically mined in County Tyrone. They come with a certificate of authenticity and a beautiful presentation box.